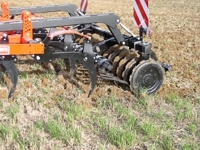 Double click the video to go full screen! 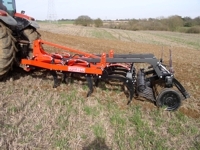 The NSL has been developed with the idea of creating a cultivator that is strong, simple to use, versatile whilst being economic to run. 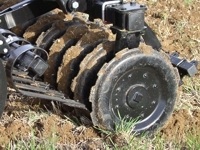 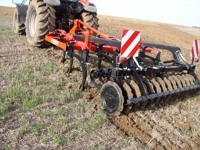 The NSL is a mounted tined cultivator that can feature either 2 or 3 rows of leaf spring break back tines which will operate in all conditions including stony ground up to depths of 260mm. 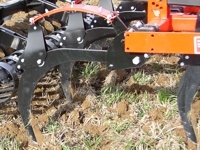 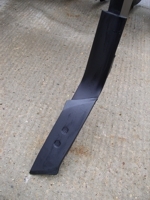 The NSL uses a standard plough point for ease of use whilst being a cost effective replacement wearing part. 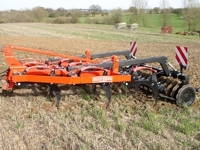 Following the tines you have the option of a hydraulically operated shatter board to then be followed by a row of either RollPro, RollCrest or Guttler press.